The family of an inmate who died in an Ontario jail last week is searching for answers about how a loved one they say struggled with a serious mental illness ended up lifeless in a jail cell just days after being taken into custody. CBC News has learned from his family that Soleiman Faqiri, 30, died under mysterious circumstances on Dec. 15 in segregation at Central East Correctional Centre in Lindsay. His death is under investigation by both the coroner and Kawartha Lakes Police Service. 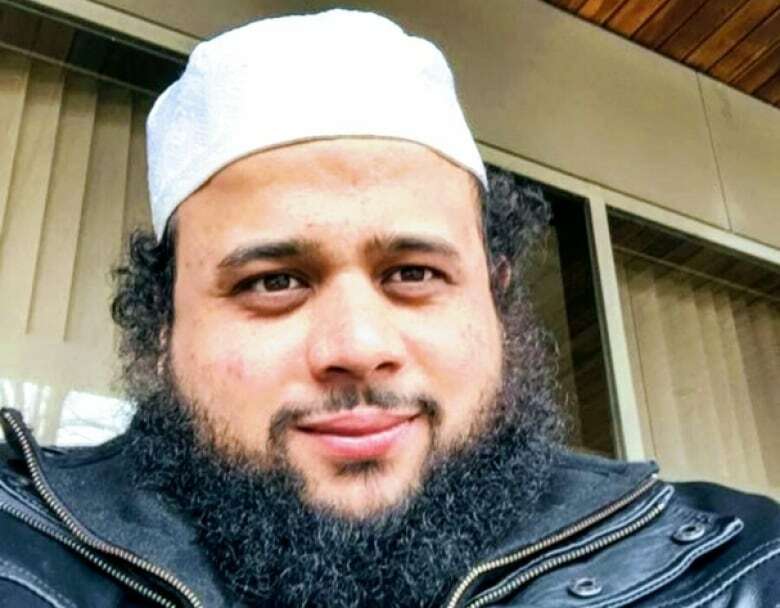 "We're trying to come to terms with the fact that he's gone and he's not coming back," Faqiri's brother, Yusuf, recently told CBC Toronto at the family's Ajax, Ont., home. "We want to know why my brother died," Yusuf said, his grief still raw. "Why did Soleiman die? How did Soleiman die? That's what we're looking for." Those questions remain unanswered since Dec. 15, when the Ministry of Community Safety and Correctional Services said "a male inmate passed away at the Central East Correctional Centre." "All we were told was that he died when the guards entered his cell," Yusuf said. "We haven't been given any answers." Nothing to explain the bruises the family alleges covered Faqiri's face when they went to see his body. Nothing to explain the gash they say they found on his forehead. What is known is that on Dec. 4, Faqiri was charged with two counts of aggravated assault, one count of assault and another count of uttering threats of death and bodily harm. Also known, confirmed by the Ministry of the Attorney General, is that a mental health assessment was ordered for Faqiri on Dec. 12. But on Dec. 15, Durham Regional Police officers knocked on the family's door to deliver the news that Faqiri was dead. The charges against him were stayed at the request of the Crown a few days later. The family says it tried several times to visit Faqiri in jail during the 10 days he was there before his death. Each time, they say, they were refused, with prison staff telling them Faqiri was on lockdown. Staff at Central East Correctional Centre refused to comment on the family's claim and referred all questions to the Ministry of Community Safety and Correctional Services. The man whose loss the Faqiri family is grieving was gentle and personable, they say. He spoke three languages, was a straight-A student at Pine Ridge Secondary School in Pickering, and the captain of its rugby team who half-jokingly spoke of dreams of becoming a professional athlete. Faqiri was one of five siblings, four brothers and a sister, whose parents brought the family to Canada from Afghanistan when he was just a boy. Yusuf was two years older than his brother, but people often confused the one for the other when they were growing up. "We did everything together," Yusuf said through tears. The future for Faqiri looked bright. He was studying engineering at the University of Waterloo. In 2005, his family says his life took a drastic turn after he was involved in a car accident. That year, they say, he would be diagnosed with schizophrenia, unable to continue with university. Over the years, although Faqiri struggled with his illness, his interest in learning continued, now in religion, studying the Qur'an with hopes of one day becoming an imam. In September 2012 came a brush with the law. He was convicted in April 2014 of theft under $5,000 and ordered to pay a restitution of $980. "He had mental health issues, but he was an amazing and incredible figure in our family," Yusuf said, refusing to comment specifically on the circumstances through which his brother ended up behind bars earlier this month. Instead, the family's focus is the lack of information surrounding Faqiri's death, a silence they say is deafening. "As the matter is under police investigation, it would be inappropriate to comment further at this time," Ministry of Community Safety and Correctional Services spokesman Andrew Morrison said in a statement. "Should the coroner's investigation determine that the death was anything other than natural causes, a mandatory inquest will be held." The results of the autopsy are still outstanding, police say. For Dr. Sandy Simpson, chief of forensic psychiatry at the Centre for Addiction and Mental Health, Faqiri's case underscores a larger need for better training of correctional officers in knowing how to spot and respond to inmates with mental health problems. "If the person is being agitated on the basis of a mental illness then often what they're feeling more predominantly is fear rather than anger," Simpson said. "If you respond very firmly and overly authoritatively to someone who's already very fearful you'll escalate, rather than contain, the problem." CAMH has helped to provide that training for about 5,500 officers over the past year, alongside the Ministry of Community Safety and Corrections, Simpson said. But the psychiatrist said that putting inmates with mental health issues in segregation can create a cyclical effect. "Your mental health problem may lead you to going into segregation and being in segs will not address the problems that gave rise to you going there," said Simpson. And long-term segregation can then have damaging effects, bringing on even more mental health problems, he explained. That compound effect can lead to instances where correctional officers need to use force to protect the safety and well-being of others inside the facility. "But force needs to be the last thing that you do with a whole range of skillful interventions that come before," said Simpson. Those interventions involve earlier detection of inmates whose behaviours seem to be escalating, and greater attendance to when people are in difficulty. 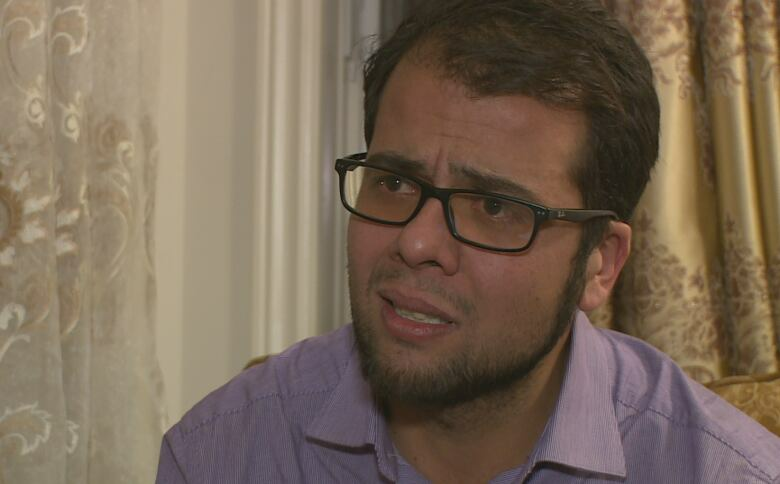 Yusuf agreed, saying his brother's condition was something all prison staff should have been aware of, given his prior run-ins with the justice system. "The system failed our family," the Faqiris said in a statement Tuesday. While the family awaits the results of Faqiri's autopsy, it's the little, unassuming moments that replay themselves in Yusuf's mind. 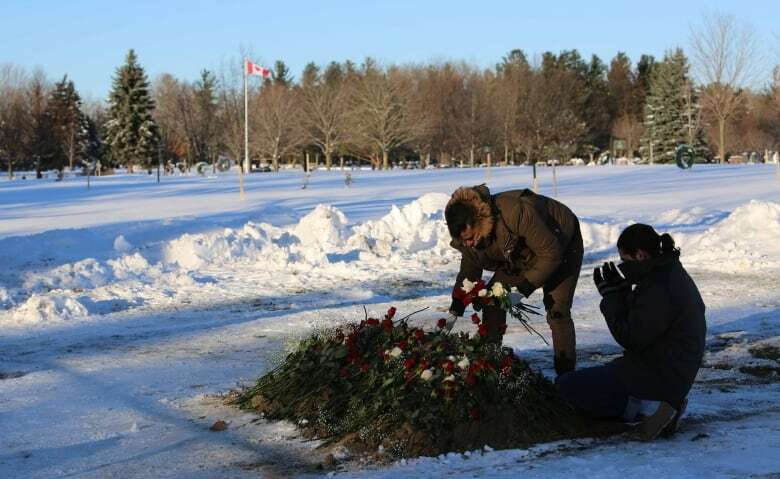 As he laid his brother, Soleiman, to rest on a bitterly cold Sunday, his memory travelled back to last winter. "I was leaving the house and I didn't have a tuque. And he came and said, 'Yusuf, take my tuque. You don't have one.' He gave me a big hug and said, 'I love you.'" "That's the last thing he would say every single time: 'I love you, bro.'"